Those of us who are not too particular about our morning brew are largely satisfied with instant coffee packets, pods or other simplified delivery devices. Even we connoisseurs, however, can appreciate this idea as the big next step in espresso evolution. 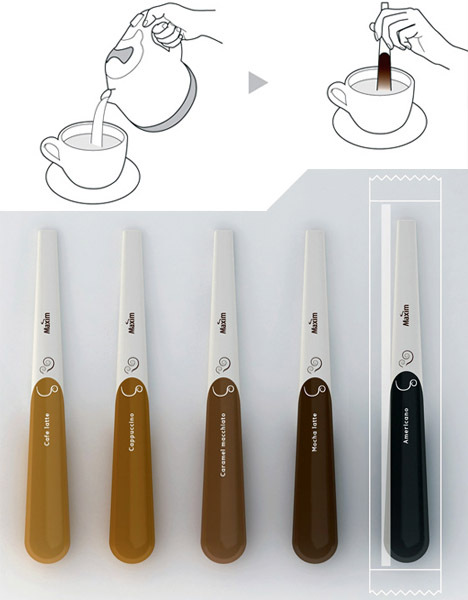 Skipping coffee grounds altogether for a cheap-but-premium experience, here comes gourmet cappuccino … on a stick. 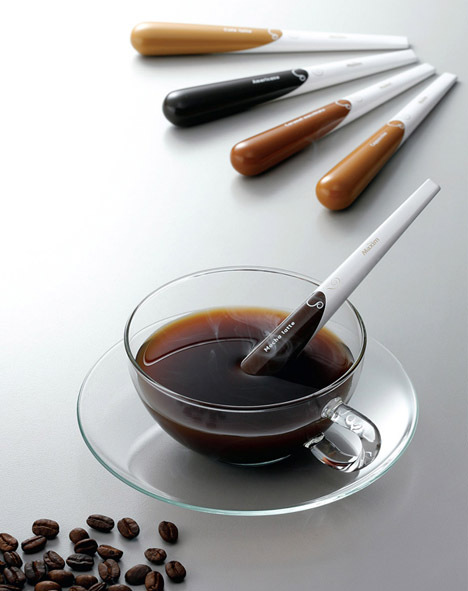 Yes, for one designer it was not enough to boil coffee, mix in grounds and stir the solution around – Heo Jeong Im’s concept blends the core supplies – milk, esspresso and sugar – into a single dissolvable component on the end of an all-in-one specialty stir stick. No roaster or grinder required. 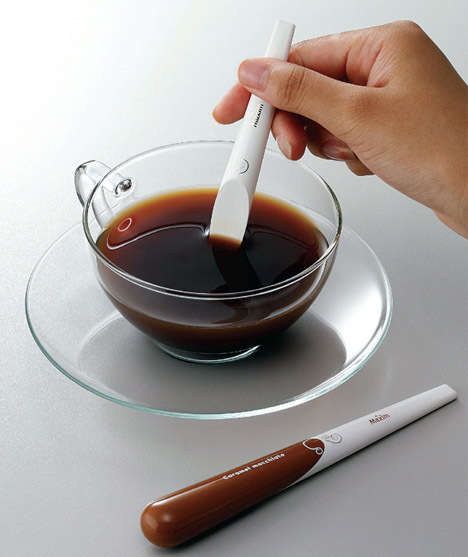 Sure, you still need to boil the water – but devices to do that part are simple, cheap and easy to use; they free up valuable counter space where you can display these stylish flavored sticks that will hopefully be available in a healthy variety of organic, flavored and decaf options for those of us currently enjoying the versatility of pods but ready for the next even-speedier caffeine delivery system.